Compared to ancient western slavery and systems of agricultural serfdom, the Chinese free-peasant economy was really quite advanced. However, 2,400 years of immobility followed by the last 100 years of haphazard industrialization and ideologically charged political reform, has brought it to a state of 21st century crisis. Its current organization may be regarded as an end point. China fell behind other countries due to low per capita income, consequent stagnation of domestic demand, and high dependency on exports. This situation is inextricably linked to population / land mass ratios, where a field-stock of 2 billion mu 1 is expected to provide income for a rural population of 900 million people, of whom only 500 million are actively engaged in farming. The notion of “wealth growing in the field” is tied to an agricultural era; wealth production cannot advance in the context of a “one mu field economy”. As the dilapidated rural economy, with its beleaguered secondary and tertiary sectors, comes into contact with a market economy, widespread insolvency followed by political instability is inevitable. The sole route to catching up with developed countries is to facilitate the safe rapid exodus of the rural surplus: out of archaic farmland struc-tures, into modern urban economies. Therefore the core task of the Chinese government is to produce positive urbanization policies. The importance of this goes beyond economic expediency — it is in fact an urgent political measure. 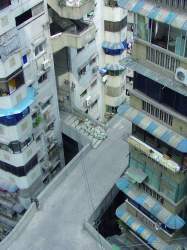 It is too expensive to enlarge the old megacities. 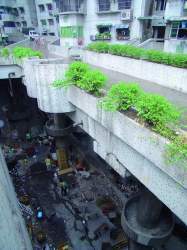 It stresses both the urban infrastructure and the ecological capacity of the surrounding area. On the other hand, the widespread building of smaller towns is land-expensive and highly pollutant. The correct peasant-destination is the megacity, but China currently suffers a lack of them. Thus the author brings forth his bold solution: based on the principle of national macroeconomics, the population is to be redistributed such that of 1.5 billion people, 500 million are accommodated in new metropolitan areas; 500 million in existing megacities; 400 million in mid to small size cities; 100 million in rural areas. The key to achieving this is the building of sufficient megacities for a combined population of 500 million within 30 years. 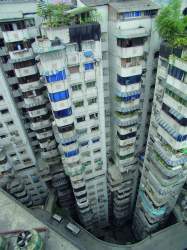 If each megacity holds 5 million, 100 megacities are required. Therefore if we build one new city per province every ten years across 30 provinces, the target can be substantially achieved within three cycles, or 30 years. The intellectual support for this scenario comes from 5 considerations. Almost all developed countries had at one stage a predominantly rural population. 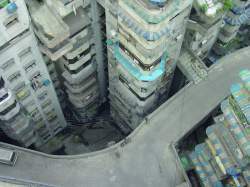 However, there is no case beside China where rural pre-dominance is concurrent with large-scale commercial establishments; perpendicular, informed, and efficient government; widespread com-pulsory education; gross (if not excessive) industrial capacity; and the intense urge for urbanization among millions of peasants. This situa-tion can be regarded as an urbanization arrearage*. The extent of the urbanization arrear-age* and the pressure of the urbanization urge can be witnessed by current rail travel statistics: 100 million peasants take the train to the city every year. The revolution in China showed us that regarding the peasants as objects of charity, restriction, and limited education is not a sustainable method of government. The rural population has and will continue to play a key role in both modernization and economic growth. The peas-ants should be offered the opportunity to earn honor and pride in peacetime as much as in time of war. Denied this opportunity, in the context of a market economy, they may align themselves with rebels for the purposes of political insurrection. The fabric of the existing cities is neither so flexible nor so robust that it can withstand the target volume of peasant influx. Instead the peas-ants must be organized to build new cities for themselves. This is wholly in keeping with the glorious tradition of organizing peasants to face difficulties together. 1. Europe The bulk of the rural population was steadily transformed into an urban population through industrialization, which converted peasants into factory workers. 2. Latin America Large numbers of farmers were forced into the city by latifundia reforms. Rapid growth of city slums ensued. 3. Japan Farmers served as soldiers during the long-running war and then as factory workers when they returned home. 4. USA People gathered together quickly to join / create the urban economy via self-governance, advanced city-planning, and the freedom of large volumes of deregulated land. The US model is the most advanced and suitable for China. China however is now in a better position to embark upon mass urbanization than the US was at an equivalent stage in its history thanks to powerful economic growth, technological advancements, and the compara-tively educated labor force. Urbanization in the US was heavily reliant upon a brutal civil war and the labor and movements of poorly edu-cated recently freed African-Americans. The biggest obstacle China faces is the lack of discipline and high levels of selfishness among farm-ers, which makes them difficult to organize. Organization in this effort is critical because the Chinese environment, unlike the US, is not such that the task of building cities can be left to individual explorers and their potentially conflicting ideas. The plan has to be led by central gov-ernment, and supported by local government. Farmers are offered the opportunity to exchange their land and six years of construction labor for housing in the new city. “Farmers must have land of their own” was the basis for the peasant economy. “Workers must have houses of their own” will be the basis for the metropoli-tan society. The government should gather together a team of global experts to devise the irrigation and urban planning. This will result in the most ad-vanced urban design, in accordance with the saying “a piece of blank paper is the most beautiful to draw upon.” Banks should provide gov-ernment-assured loans to attract domestic and international investment, using land and tax incentives and the promise of high return as the financial bait. With the government’s announcement that it is building a New Jining for 6 million people opportunities will be created for venture capital and individual investment funds. The first phase of New Jining should cover an area of 200km2. This is about one third of the size of Singapore, and less than 2% of the Jining prefecture. The second phase of New Jining should bring it up to 600km2, which is about the same size as Singapore. 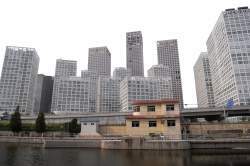 Land requisition from peasants will be rationalized on the basis that apartments in the future New Jining will be granted in exchange for the requisitioned land plus 6 years labor constructing the new megacity. An example may be laid out as follows: the farmland of a family of three is exchanged for one apartment in the future New Jining; the house of this family can be exchanged for a second; if both parents work for six years building the city, they will receive one more. In this fashion a local rural family stands to gain three apartments in the New Jin-ing, and thus become property owners. If in the course of building New Jining certain plots of requisitioned land are temporarily unoccupied, it will be possible for families to continue living and farming there until construction activities reach the site. It should be noted that these numbers are purely imaginary and experts are needed to study plans carefully and convert property (farmland and future urban land) and labor into specific quantities. On the basis to these calculations it will be possible to float “New Jining apartment exchange tickets”. Crucially the land requisition itself will not require cash, in accordance with the principle “farmers build cities for them-selves”. Infrastructure for the new city should be planned in advance and, starting with the drainage, be built over the first four years to cover an block 14x14km in dimension. Systems for water, gas, electricity and telecommunications should be integrated to make them clearly legible and easy to maintain in the future. The owning companies and providers should be related to and with each other. The apartment exchange market should allow the infrastructure to be built at cost. Advance planning should identify an industrial area within New Jining and ensure that it is supported by related infrastructures. Work should be done at the outset of building New Jining to secure investment for the industrial belt. This will reassure rural workers concerned about employment prospects in the future city, and help maintain order throughout the construction phase. Having requisitioned the land for free, the government should be in a position to apportion it to residential plots for free. Money for building materials, construction equipment, and the cost of hiring designers and engineers should be covered by the surplus building stock created (i.e. 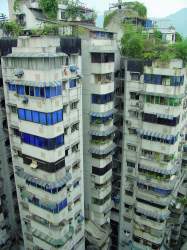 those apartments built over and above the total number required to guarantee the “apartment exchange tickets”). What if the value of this surplus building stock turns out to be insufficient for the expenses incurred? The government will need to budget carefully, and balance costs with money generated by auctioning off parts of the city centre to commercial development. 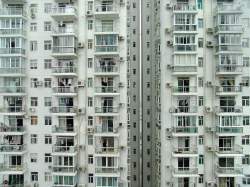 Besides, even if there is an outstanding cost of say 20,000RMB on each apartment, this would constitute a total cost of only 20 billion RMB for 1 million apartments. To cover this the city government could issue “New Jining Construction Bonds”, to be paid off by future tax and administration fee revenue. Alternatively, the government could decide to subsidize the new apartments, and spend 20 billion RMB on converting 3 million farmers into urbanites. This could prove to be one of the best subsidies ever made. The enthusiasm of millions of laborers building millions of apartments for themselves would be a powerful attractor to other businesses and individuals thinking about investing in New Jining. And for the farmer-laborers themselves, four years of building infrastructure and a further two on their own apartments would see them installed in their new homes. Within ten years there would be a powerful and successful city, built by them, and belonging to them. But where will these millions of laborers come from? The total number of farmers on land directly requisitioned for the building of New Jining will not provide the required workforce. A province-wide effort will be needed across Shandong to encourage poor farmers from other areas to participate in the construction of New Jining. A system can be implemented by which any rural couple from Shandong can work for six years on city-build projects in return for an apartment. An additional condition requires them to hand over their farmland and former houses in the villages upon receiving a key and residency card for New Jining. These plots of land can then be sold by the government, thus recuperating money paid out to farmers when they left the village for transport and living expenses during the six years of building. 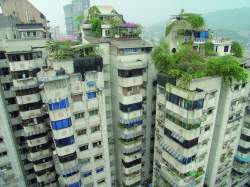 From the point of view of a poor farmer, six years of building can be rationalized against six years of dead-end farming, the difference being that by the former they walk away with an apartment in a megacity. The scheme would be a fascinating one to embark upon, and with the assurance of six years of employment, would certainly beat hanging around in the village and gambling all the time. It would also be possible for entrepreneurs to come during the building work and set up ventures of higher profit — for example, providing services to the millions of construction workers. These entrepreneurs would be potential customers for the higher-end residential market, thus helping to finance the cost of building materials. Even though the central theory of the fast urbanization plan is “farmers build cities for themselves”, its realization requires the government to involve itself in the organization of the labor force. The scale and complexity of the task would be sufficient to weed out incompetent officials by a process of natural selection. At this point the author senses a potential problem in the building of New Jining: if the farmer-laborers do not like the conditions of the new city, they may want to return their apartment, and go back to their former life in the fields. This will be addressed shortly. The experience of being organized into productive teams which build a new city and create wealth is already part of the education process for former semi-employed or unemployed rural dwellers. However, the construction site of New Jining should also be a university. Laborers will be expected to work forty hour weeks, in addition to which will be “night school for workers”. This will be laid on by the government with a teaching staff made up of professors, officials, students and volunteers. Over the six years, courses will be offered which provide workers with the knowledge and necessary training to become lawyers, economists, civil engineers, doctors, forensic investigators, social scientists, restaurateurs, interior designers, and experts in world affairs. New Jining should also be a university. The Party should also provide some military and security training, as well as holding a wide range of cultural and sporting events. There should be regular competitions with the chance to win honor or receive punishment, with prizes available for the best workers. The most efficient laborers and organizers should have top priority when it comes to choosing apartments. Creating organized labor forces creates production. Excellent administration enhances productivity. Efficient production in a stable context generates wealth. Each new megacity in China should make a significant contribution to GDP, not to mention improvements to the domestic human resource through training and skills. Further benefits to the national economy would come on three fronts. 1. The first consideration is the economy of those villages left behind by the new urbanites of New Jining. Those who remained as farmers would find that the availability of farmland, food production, and income all increased several fold. The demolition of the former homes and plots of three million former farmers, and the subsequent operation of land amalgamation and rationalization, would allow the rural condition to benefit from modern economies of scale. Thus the currently underperforming countryside will be converted into a well-managed productive sector. 2. The building of the New Jining megacity would require enormous volumes of materials — not only cement, steel and power, but also materials for every aspect of modern urban life, and the machinery and technologies behind them. Textiles, plastics, electronics, engines and parts, and a wealth of knowledge will all be needed. The effort required to provide these things will give industry and business in general a terrific boost. 3. China would develop a larger role in the global market of resource distribution, which is an important part of the strategy for long-term development. At present China has an excess of foreign currency savings, but lacks metal mines. Through the building of new cities we would bring large quantities of key metals into China, thus gaining a significant future resource. The author will now address these questions in relation to his proposal for New Jining. QUESTION 1. Why would three million peasants come to New Jining in Shandong province? To understand this answer it is necessary to ask one further question: what does “improving your quality of life” actually mean? Human beings have three basic urges: the urge for food, for reproduction, and for shelter. Within the context of urban planning, to improve living conditions is to improve housing conditions and income, as the combination of wealth and high quality housing has the power to address these three urges. Generally the areas with the best housing offer the best quality of life, and house the richest people. For most Chinese citizens, owning a home of some kind will be the most significant piece of capital they acquire. Therefore the quality of that home is instru-mental to any assessment of their wealth or the quality of their lives. Thus the success of New Jining is contingent upon the promise of better quality housing, viz. a toilet, running hot and cold potable water, decent heating and insulation etc. 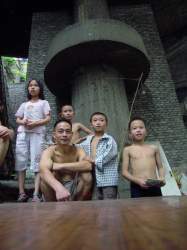 Current living conditions in much of the Chinese countryside are comparatively basic, but the residents themselves represent a labor force with considerable building experience (from both local and migrant work), industrial experience (from TVEs* work), and a minimum of nine years education. 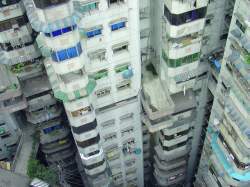 Couple this to the CCP’s strong organizational capacity, and the potential to mobilize these residents and set them to building high quality housing stock becomes an almost tangible near-reality. The very nature of that stock will then ensure Shandong-wide metrophilia. QUESTION 2. What would three million peasants do in New Jining? ANSWER 2. All the things a young dynamic city needs them to do. The employment situation for the peasants of Shandong is very poor. Families on small plots of farmland work for maybe three months a year, producing barely enough to feed themselves. Beyond this, time is spent playing cards, board games and gossiping. There are those who work longer in the fields, pulling out grass by hand at the end of every day, but ultimately benefit little for all their pain and effort. In the meantime, writers pass through and give dolorous accounts of village life, describing parents who cannot even afford paper for the education of their children. Often nothing is done in the village because there is nothing worth doing. The villagers cannot improve their situation by, for example, building a road, as the government will not finance roads to such tiny destinations. And besides, what of worth could be trans-ported in or out? The demand itself is too impoverished to warrant infrastructure, and thus a stone is laid over further development or em-ployment prospects. Often nothing is done in the village because there is nothing worth doing. This situation of limiting the opportunities and usefulness of work is disastrous as it is work itself which creates wealth. The impetus to work is maintained by high levels of demand. In New Jining, the building of the city alone would provide six years of continuous employment, effecting the creation of enormous wealth and a population of property owners. The outlook from there is that there would be a new city with new demands, resulting in contracts and dependencies on a scale unthinkable when its population was still dispersed among innumerable indigent villages. A thriving tertiary sector, previously inexistent, would spring up. Production would follow demand, and at the same time demand further production. Refocusing the economy from exports to the nurturing of internal demand would recirculate wealth. It is a common fallacy that the economy leads, and shapes cities, when in fact it is the people and cities which come first, and stimulate economic growth. 1. The urban poor of Latin America own no property, lack education, suffer from bad organization and feeble discipline, and subsist within structures of poor social order with a consequently weak investment climate. The fact that this is the case often in spite of rich physical re-sources only goes to demonstrate how little physical resources have to do with the creation of wealth. 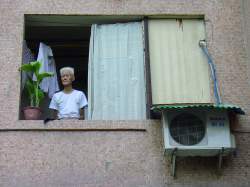 On the other hand, the residents of New Jining would own their own apartments, benefit from a minimum of nine years compulsory education plus a further six years of construction site night-school, would be hard-working, literate and strong-willed, and serried within a rigorous social structure comparable to that of Japan or Singapore. 2. The citizens of New Jining would be first generation migrants coming from situations of poverty and unemployment. With this back-ground they would not be picky about jobs but, like the post-war Japanese, would be willing to work hard at anything. 3. The scientific urban design of New Jining with its comprehensive plan for the accommodation of migrants (often sorrily lacking in new towns in developing countries) would provide a city with excellent infrastructure and a plentiful supply of cheap labor. Such conditions are highly attractive to investors, offering the combination of logistical efficiency and an energetic labor market. QUESTION 3. Without “money”, how does job demand become job availability? How does so much need turn into so much boom? ANSWER 3. Labor and wealth are not the product of currency — currency is an expression of demand met by production. Currency is used for measurement, exchange, savings and investments, and loans, but in all of these instances is serving merely as a representation of either work done or work to be done. It has no intrinsic substance or power. The only absolute requirement for the production of money is a group of workers, and if a city can provide this, it can invent its own wealth. Having built New Jining, its inhabitants could then mortgage their apartments (thus realizing work done) and use the capital to invest in new ventures of their own, as well as consuming the products of the ventures of others. The process of building a city is itself a way of storing up an immense volume of work done, and thus wealth. The fact that the city then has needs is the first principle of its subsequent economy: the needs can be treated as demand; demand in the presence of facilitated workers creates production; the meeting of demands with production runs off as wealth. The concept of a city is in fact synonymous with the conversion of need into boom. A city is simply a way to gather demands, and the capacity to meet those demands via work, into a single location. The concept of a city is in fact synonymous with the conversion of need into boom. Well organized collective work is the foundation for modern society. This is true whether the organization is done chiefly by the state, as under communism, or by bodies operating within a market. New cities will be the best place for China to organize its workers, and it is in this direction that development should proceed. But the author has higher hopes for New Jining than mere economic growth. Developing new cities will also create many crises, the solution of which will bring forward outstanding leaders. These leaders will be able to go on and mold new systems of government, which will allow New Jining to become one of the “best inhabited environments” in the world. Twenty-four centuries ago the “Shangyang Reform” set up the free peasant-economy, and established the foundation for a united rural China. China has now reached a new turning point — in terms of its economy, the lifestyles of its people, and of Chinese society itself. Rapid urbanization provides the torque for this change. Offering rural residents the framework to build their own cities gives change to the people; the people in turn change the nation. 1.Chinese unit of area: 1 mu is equivalent to 666.6m2. 2 billion mu is approximately 1.3 million km2. urban arrearage a situation where the developmental level of the economy, of the commercial & industrial sectors, of the sophistica-tion of the government, and of the public education system all outstrip the level of urbanization.